Hello! 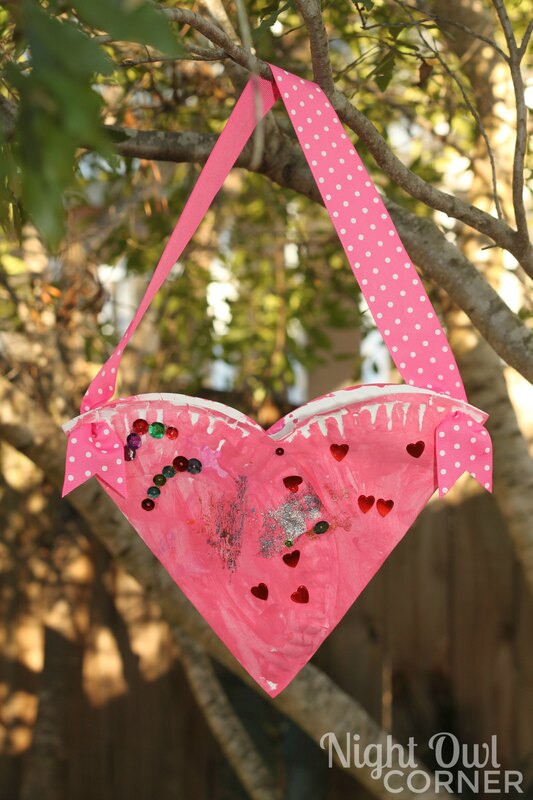 I’m Linda from Night Owl Corner and I’m excited to be here today to share a fun Valentine’s Day kid’s craft! 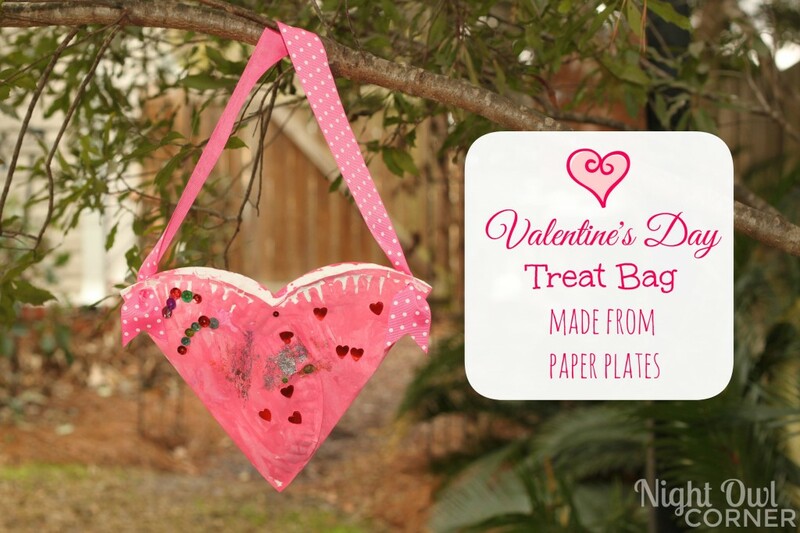 Last year my daughter Sophie’s preschool class made these adorable Valentine’s Day treat bags from paper plates to collect the cards she received from friends. We decided to make a new one for this year. Stuff to decorate with: stickers, markers, glue, sequins,etc. Fold each paper plate in half. With rounded sides facing, insert the side of one plate inside the other to make a heart shape. Staple in place, making sure that the middle section remains open to make a pocket. Let your child decorate it with any decorative craft items he or she wishes. This is one of those flexible crafts where you can use anything you have around the house so get creative! Sophie painted hers pink and decorated it with glitter glue, sequins and stickers. You can also turn this into a educational activity about color mixing. 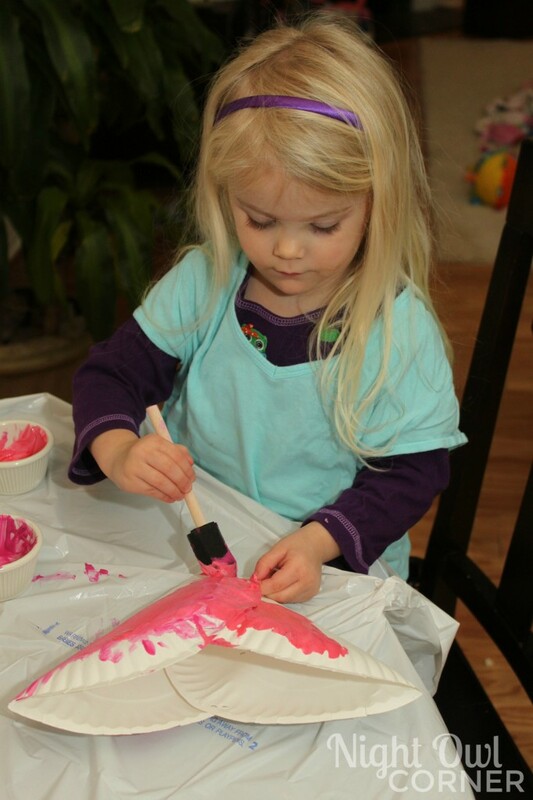 We didn’t have any pink paint so we mixed red and white together, and Sophie was really excited to see how it blended together into pink. Just the night before we’d read The Color Kittens by Margaret Wise Brown, the author of Goodnight Moon. The book is a tale of two kittens who set out to mix colors until they make all the colors in the world. After the plates are decorated, hole punch both sides and tie a ribbon in between for carrying. Now it’s all set to collect Valentine’s cards! 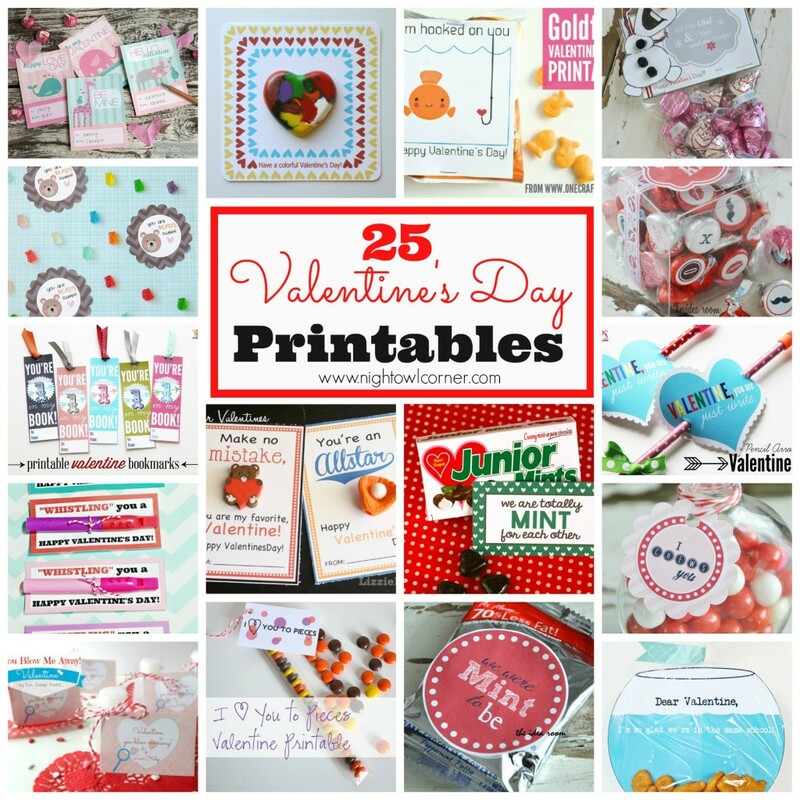 Check out my round up of free Valentine’s Day printables if you need inspiration for what to put in the bag! I’ll be back again next month on The Girl Creative but in the meantime I’d love to have you visit me at Night Owl Corner where you’ll find lots of kid’s arts and craft projects, sewing, crochet, recipes, DIY and more! 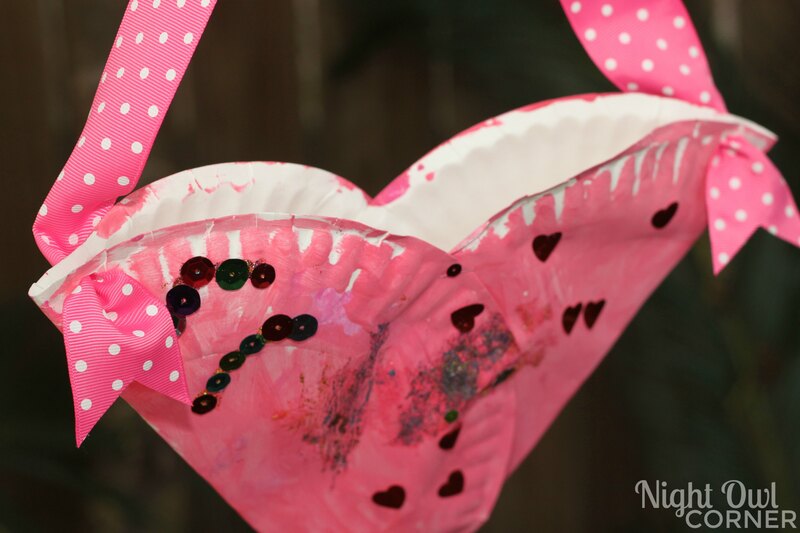 This week I’m sharing Valentine’s Day Marbled Heart Garland made from shaving cream and paint, Mommy & Me Aprons and DIY cat collars! I’d love to have you follow along….just click on the icons below my signature to keep in touch! Have a great week!